Who is it for? Miss Claire Lip Balm Macaron is For those looking for a balm that has a tad bit of shimmer to it. So like I mentioned in a previous review, in terms of packaging, the brand has kept it very simple and clean. The centre of the tube has a coral shade to it and the ends of it are black. It has details like shade and ingredients mentioned on it. It has a very slight fragrance to it that most balms do. It applies quite smoothly and has a buttery effect. Most drugstore lip balms are within this price range so I’d say it’s fair enough. Some days my lips feel really dry and then this balm comes to the rescue. It does give it the hydration that it requires. Now the thing is, although this is a lip balm, it does has a shimmery effect to it. So for dark skin people, this will not work too well. However, it can be topped onto a lipstick. For lighter skin tones, this will work well. 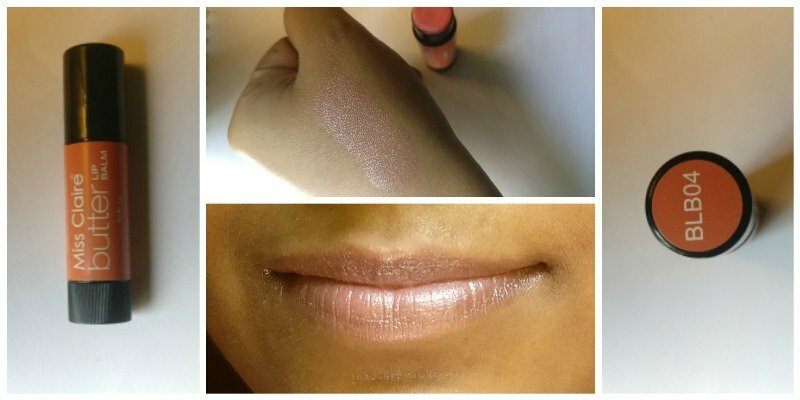 Doesn’t suit dark skin tones but can be topped onto lipsticks. I wouldn’t repurchase it for myself as it doesn’t suit me. But I would recommend it to those with lighter skin tones. More Miss Claire Lip Balms? Miss claire has a lip balm too. Nice.